As I extended my right arm for the next piece of sun-warmed boulder within it’s reach, I felt a sudden, painful pinch in my shoulder. It took me a moment to realize that the tip of the large safety pin that had been holding my backpack’s shoulder strap in place had somehow freed itself from its guard, working its way bit by bit down through a fleece pullover and t-shirt beneath, and into my skin. I was nine years old, about .5 miles from the summit of Mt. Madison, and my trusty Coleman school backpack had finally convinced me that it hated hiking. I’ve had a long history of loving backpacks despite their demonstrable crappiness. I don’t really know why. I just tend to bond really hard with whatever I’m using to carry stuff on my back. That little green Coleman was COOL, man. Canvas-esque mystery fabric of a deep forest green with black straps. I carried it through third and then fourth grade (choosing to ignore the zipper breaking) before I decided it was an appropriate choice for a 5,300 foot Presidential. I was in a group of 6-8 boys slightly older than me, one of them a childhood neighbor who’s awesome dad took us on multiple overnight hikes in The Whites. The kind of dad who carried safety pins on these hikes in case anyone showed up with a backpack like mine. I’ve evolved since then, but not quickly or sensibly. 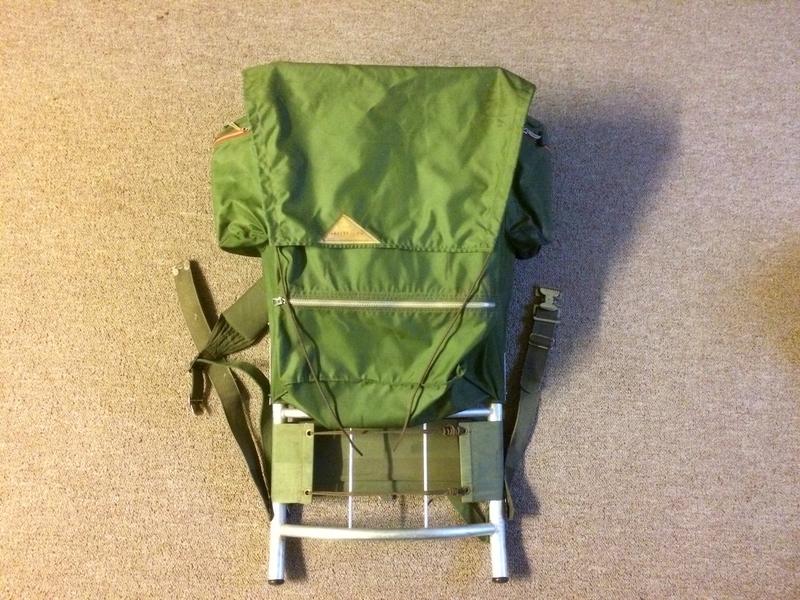 My next awesomely questionable pack was a vintage Kelty, the original olive green canvas design with external aluminum frame. I barely remember where it came from or how it made it’s way to our house. I think my Dad noticed it in the corner of a friend’s garage. I was in love with it when I first laid eyes on it, and I have it to this day. It boasts minimal shoulder strap padding, a built-in symphony of creaks and groans from its frame as you move along the trail, and most notably, a decades-hardened and crusty fabric hip belt which is utterly free of padding whatsoever. A mere hour of walking with it renders most human hips skinless. I refer to it lovingly as the Green Punisher. TGP, currently in retirement but always ready for service. The next pack to enter my hiking life still sees regular use. 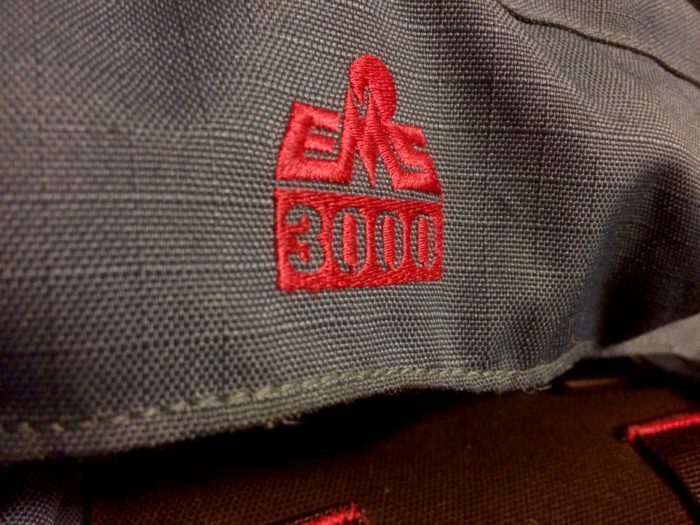 It’s an Eastern Mountain Sports 3000 dating back to sometime in the late 90’s, a practically new hand-me-down from my uncle. The number refers to its volume in cubic inches. In liters, it winds up being about 49. It’s a dead simple internal frame pack that has withstood tons of adventuring, and not just on trails. I’ve used it as a travel backpack in Japan and on various road trips around the eastern states via car and bus. It has a single inner compartment and no external features at all, save for a two-pocket top lid (“brain” to some). What I love about it are the extra adjusters for the hip belt and above the shoulder straps. They make it really easy to move the pack’s weight a wide range closer to or further from your shoulders, even while walking. I’m the kind of neurotic weirdo that really loves playing around with my pack’s adjustment incessantly, and the EMS totally indulges me in that. I also wound up inheriting this backpack’s larger 5000 c.i. (80 liter) cousin, which I have used on only one overnight trip, with my Mom’s dog involved, necessitating a lot of extra weight (Mom’s dog is not calm enough for a canine backpack. She cannot hang). The wide range of adjustment that feels so great on the 3000 makes the 5000 just feel wonky and disconnected from me. I’m still happy to have it as a loaner to get gear-less friends out in the woods. I turn away no backpack! The dynamic duo: will never let me down/let my back breathe. Now we arrive at what I’m realizing is the first and only backpack I’ve ever gone out and purchased. It fulfills all the wants I had after carrying the EMS 3000 for so long (hello hip belt pockets! ), and it fits me like sweet heaven. 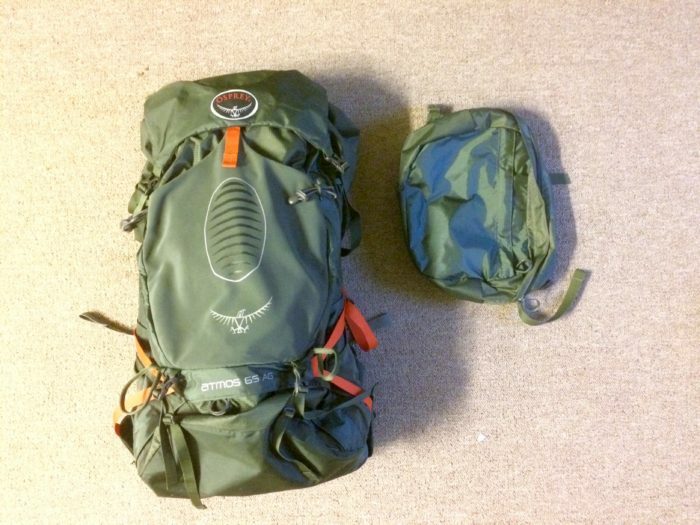 It’s an Osprey Atmos AG 65. This is likely the pack I will take on my northbound thru-hike next year. I know the Atmos is not the lightest pack on the trail, but also, I’m not really an ultralighter. During the summertime I love going out with as light a setup as possible, but during the colder months in New Hampshire when I still want to hike and camp, I need the space flexibility and higher weight rating to add plenty of extra gear. I only had one backpack purchase in this year’s Wilderness Fun budget, so the Atmos was the best all-around choice for me. The hype is real. I love carrying this thing! This summer I’ve been using it without its removable top lid/pocket (bringing the capacity down to something like 58 liters), and it’s been just about right space-wise, with some to spare. I also want some flexibility on my thru-hike too. Maybe after a town stop I want to pack out some fresh vegetables for the next couple days? Maybe I’m secretly building a tiny guitar to bring along? In Atmos-Land, there are options. My thinking for thru-hiking with this pack is that I’ll have a non-ultralight (read: more durable and supportive for my no-longer-that-young skeleton) pack filled with mainly ultralight gear – a down quilt and UL tent or hammock setup (Exceptions being a guitar. Or a typewriter. Espresso machine? You know, comfort items). I also like modifying things and will soon hack off all the stuff I don’t use on the Atmos, like the trekking pole storage system. Does rolling with an Osprey make me basic? Probably… I love the look and style of many boutique ultralight packs, and if budget allows maybe my setup will change on the AT. But for my first time out thru-hiking, I feel good about the durability, comfort, and customer support that the Osprey has going for it. 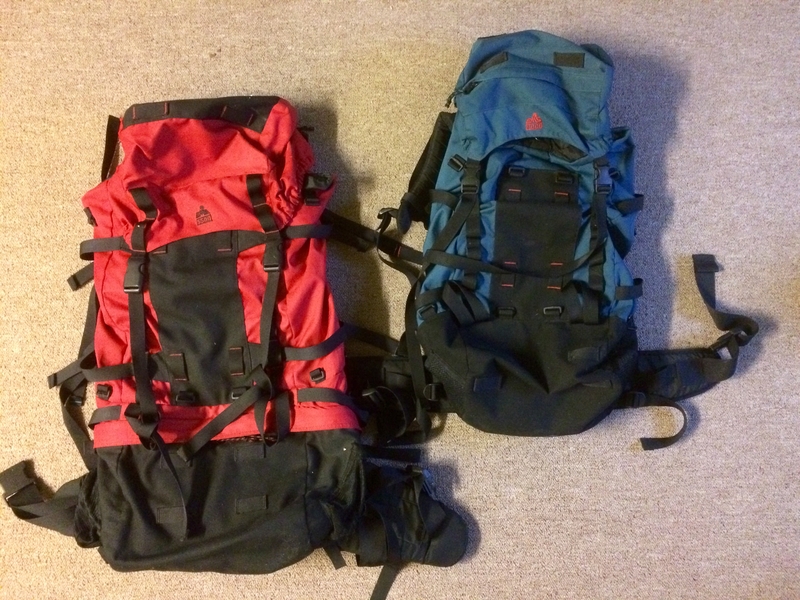 Soon I’ll fuss around with a gear list and a LighterPack profile, but for now, those are my stories and thoughts on backpacks.